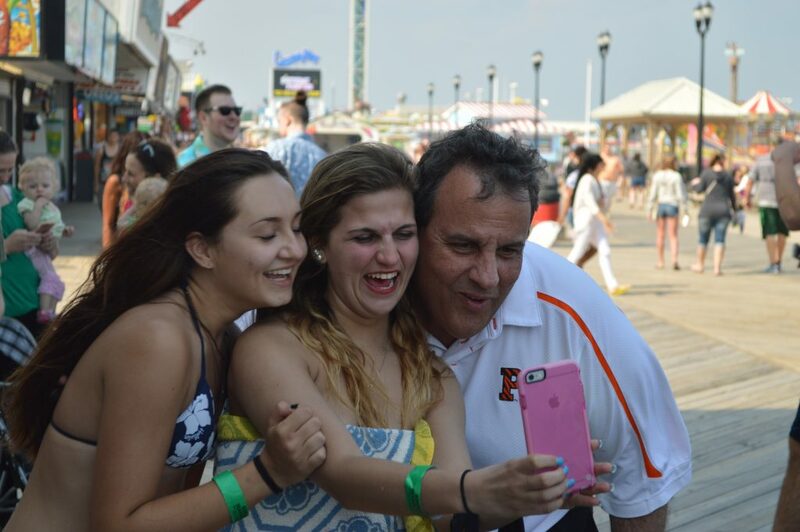 Chris Christie returned to Seaside Heights Friday to kick off Memorial Day Weekend and got a celebrity’s welcome, walking nearly the entire length of the borough’s boardwalk and posing nonstop for photos and handshakes. The appearance was all positive for the governor – no hecklers, no protesters interrupted the party, which ended at the Beachcomber Bar and Grill following the boardwalk jaunt. “You and Trump, baby, you’re gonna take over the world!” shouted a supporter, as Christie greeted those strolling the boards and playing games. Lots of chants of “VP!” rang out, alluding to Christie’s chances of being selected as the vice presidential candidate to run alongside Donald Trump in this year’s presidential election. 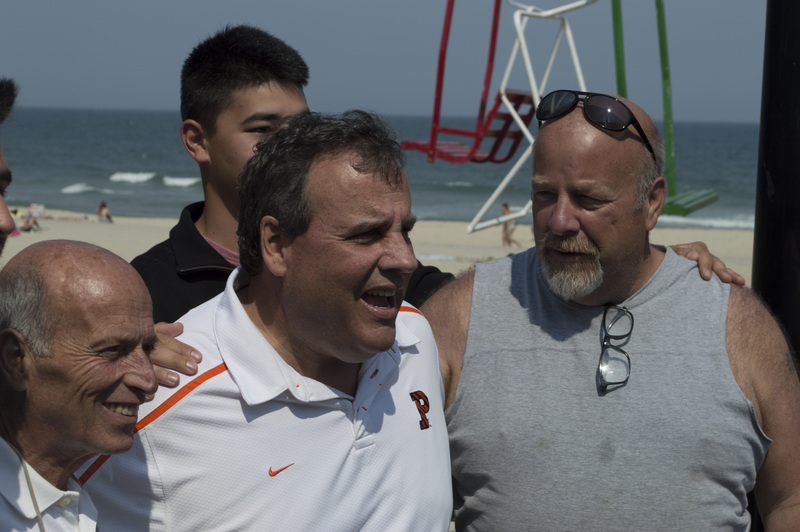 Christie greeted mayors Anthony Vaz, of Seaside Heights, and Robert W. Matthies, of Seaside Park, who walked the boards alongside him. Also in attendance was Ocean County Republican Chairman George R. Gilmore. 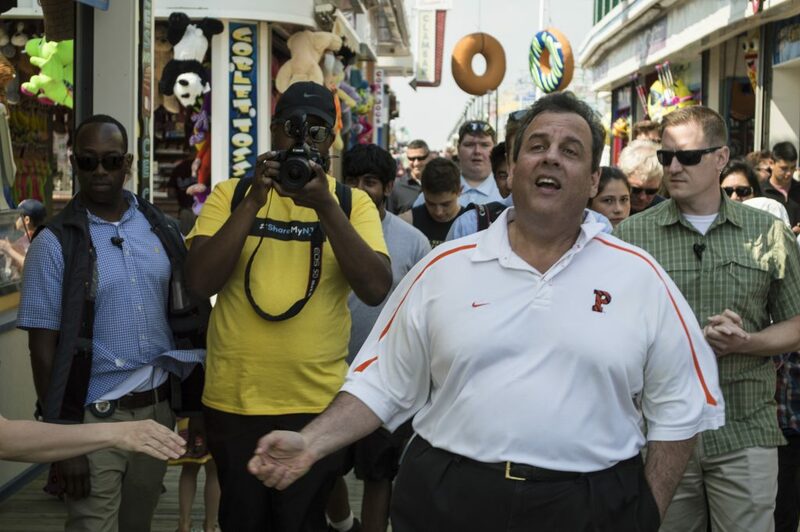 While Christie was a hit with the crowd, his boardwalk game record was mixed – he was barely edged out in the water balloon game, scored an instant “touchdown” in the football toss, but missed out on his chance to win a prize by throwing a ball into a basket three times in a row. 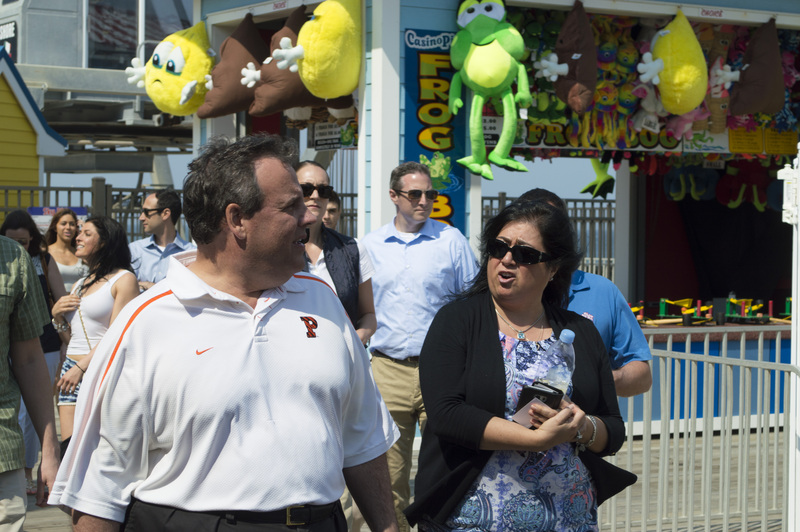 Seaside Heights was the second stop of Christie’s day, which began on the Point Pleasant Beach boardwalk. Officials told Shorebeat that beach and boardwalk attendance was excellent on the first day of the Memorial Day holiday weekend. Beach badge sales in both Seaside Heights and Seaside Park were handily beating last year’s figures.